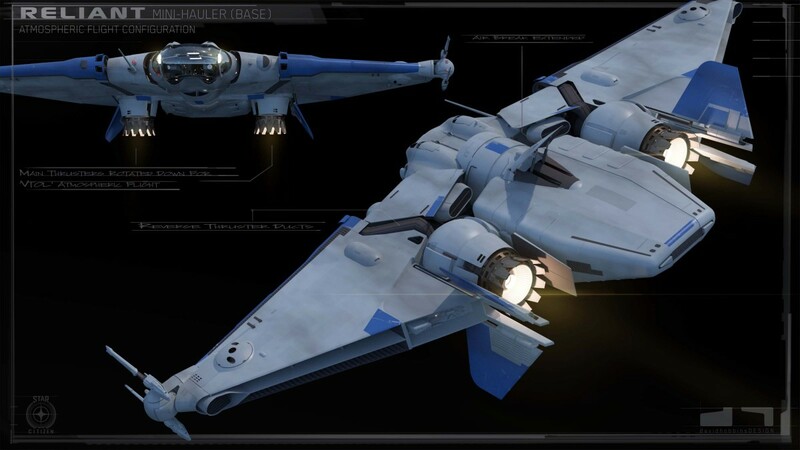 The first of what are called tier 2 starter ships was revealed this week. The MISC Reliant is described as a mini-hauler. Following the MISC penchant for incorporating alien technology, the Reliant has the most Xi’an tech used in a human designed ship ever and the look of the ship also reflects the Xi’an influence. There are a few variants planned, and I might be picking up a combat variant. In this week’s 10 for the X, we sit down with two artists to discuss some questions, mainly focusing on the features of the PU. The question regarding whether or not NPCs will be distinguishable from flesh and blood players is one that has been discussed by the community thoroughly for quite some time now. Personally, I’m in the camp that thinks it would be better for no distinction to be made between the two types upfront. Only after you engage a ship (or interact with it in a way other than blasting it) should you find out whether or not it’s computer controlled or player controlled. Like it was said, this way there is more weight to the choice of attacking a ship or not. However, I think that if a player so chooses, they can display the fact that they are players by broadcasting a “player beacon” or something of the sort, and advanced scanner suites should be able to determine the player type as well. In this week’s Meet the Devs, we sit down with John Pritchett, physics programmer. In episode 3 2 of Bugsmashers, we celebrate the fact that the show hasn’t been cancelled yet. Mark also shows off his rig. In episode 45 of Around the Verse, we get an update from the chairman himself. This week’s News Report is a transcript of the newest round of hearings regarding the Goldfinch incident. For those of you unfamiliar with it, Goldfinch is the internal name for a non-production Origin Jumpworks ship used as a testbed. Its specifications were stolen from the Origin serves, presumably by independent hackers in employ of the OES. The transcript sees the director of the OES refuse to answer the allegations.